We knew it was coming eventually, but this is a bit out of left field—early builds of the next version of Android have been released almost two months ahead of schedule. 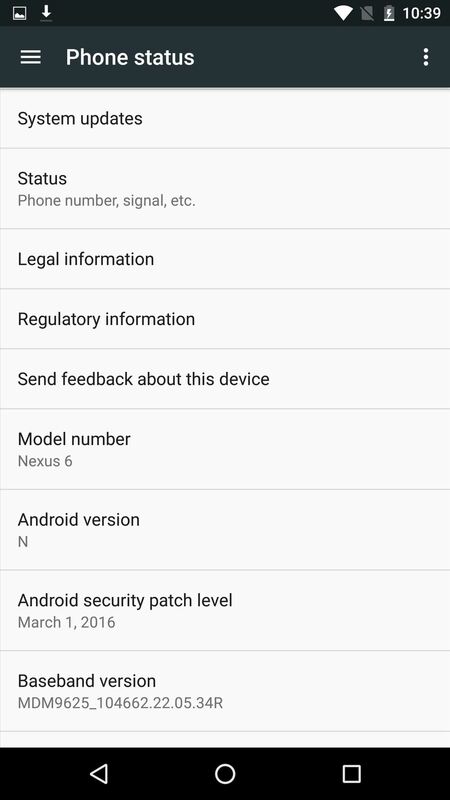 Android N, as it's being called for now, is already available for the last two generations of Nexus devices, though it's just an early preview build for now. 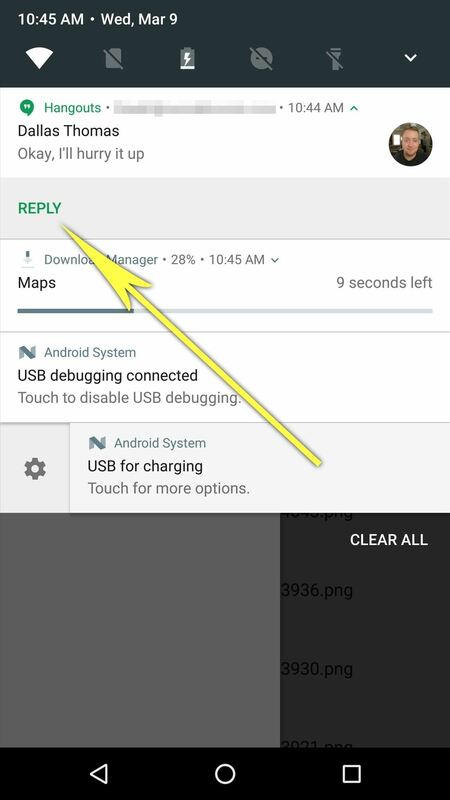 There are some sweeping changes in this new Android version, including multi-window mode (versus the half-baked version in Marshmallow) and a redesigned notification system that allows for quick replies. Coupled with a newly-announced "Android Beta" program, and this release makes for a lot of newsworthy stuff—so let's get down to it, shall we? 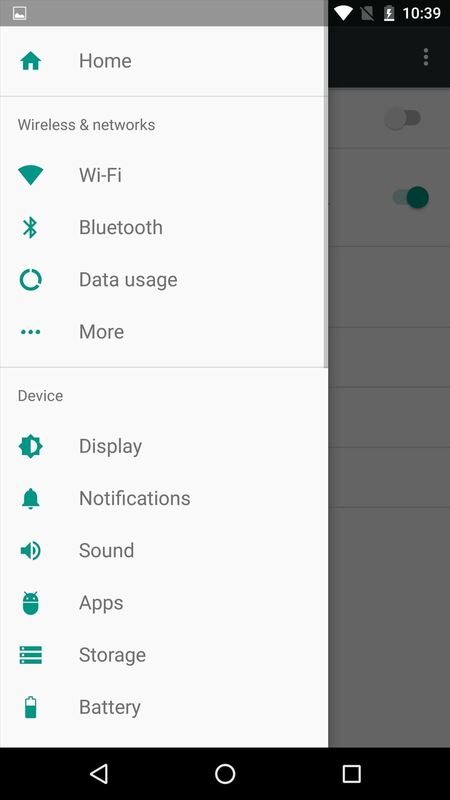 Similar to Samsung's implementation, you can now trigger multi-window mode in Android N through the recent apps menu. 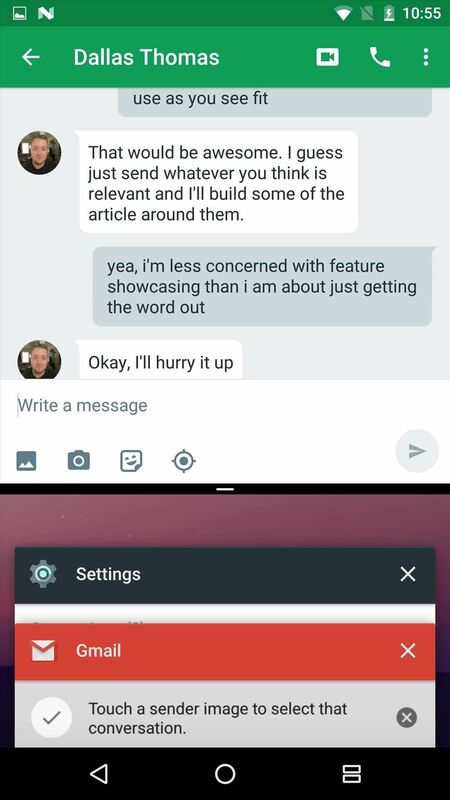 Instead of using a button, though, you simply drag any recent app by its title bar, then drop it on the top portion of your screen to trigger multi-window mode. From here, a black bar will be visible at the bottom of the first window, which you can then use to resize the top app as you see fit. To open the second window, just choose from one of the remaining recent apps. This will appear in the bottom portion of the screen, and of course you can resize the two windows using the drag handle. 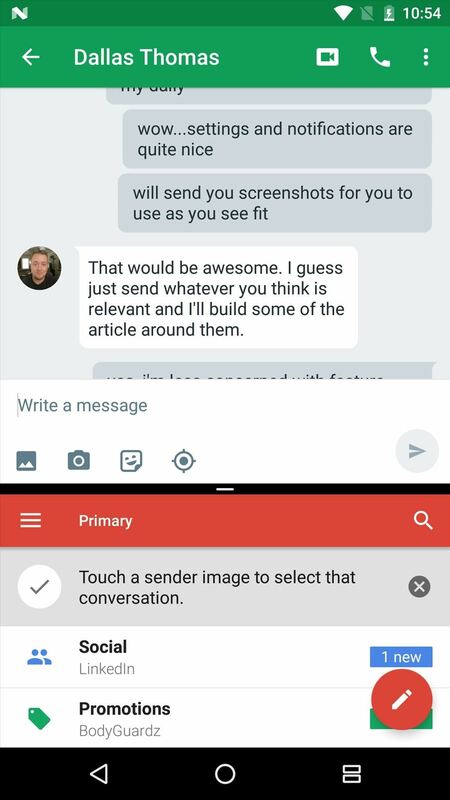 To exit multi-window mode, simply drag the black drag handle all the way to the top (of left if in landscape mode). 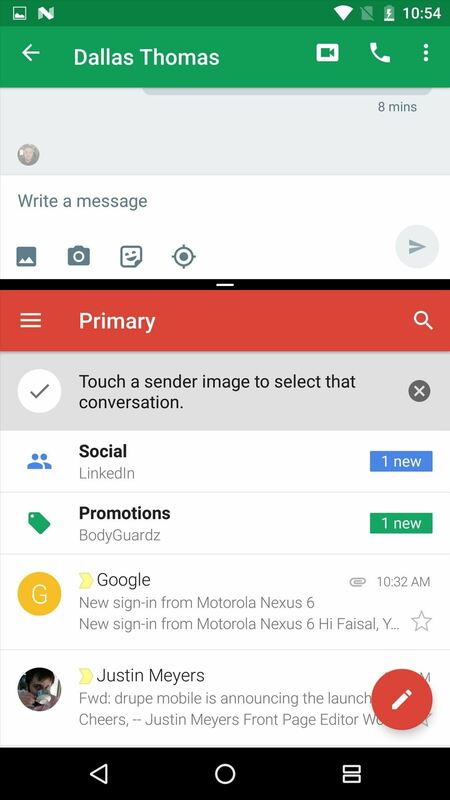 Beyond that, the new notification system is more than just a visual overhaul. 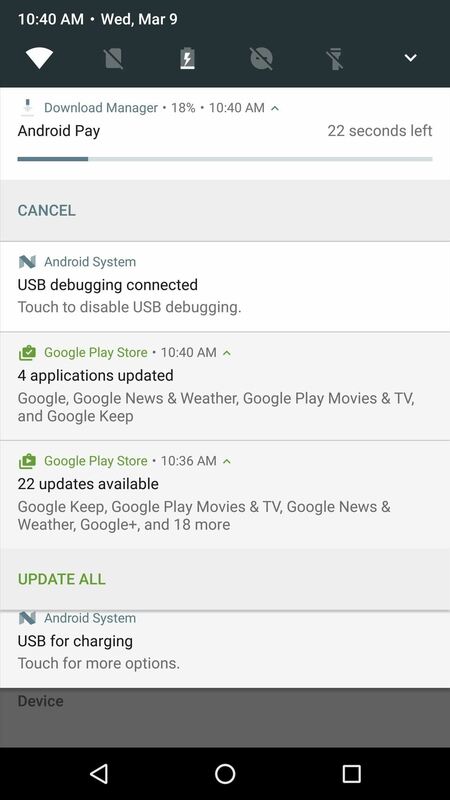 True, there's a new look, and notifications are no longer separated with empty space—but a new API will also allow app developers to group notifications together and post actionable notification buttons (as seen with the Play Store's "Update All" button, and the download manager's "Cancel" button below). These actionable buttons can even include "Quick Reply" functionality, similar to iOS's version. 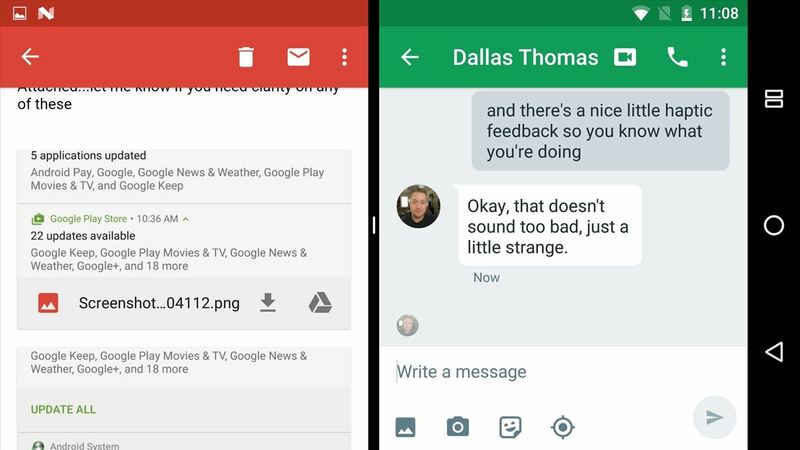 An update to Hangouts just recently added this feature, which allows you to tap a button on the notification, then immediately respond to the message without having to enter the Hangouts app. 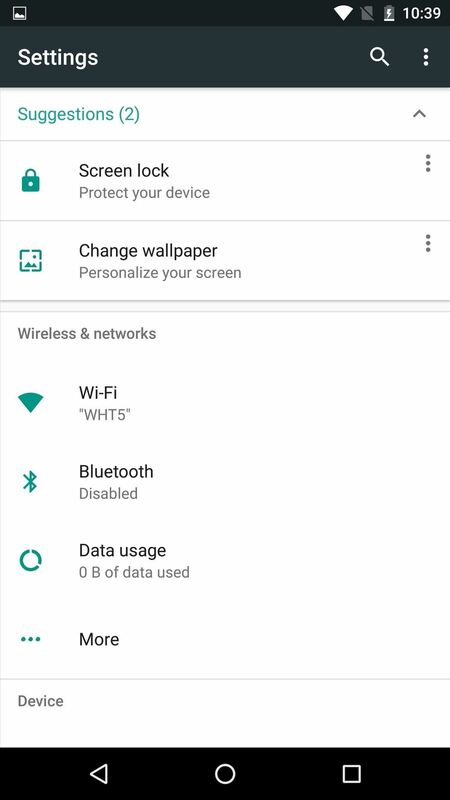 As you probably noticed in the screenshots above, Android's Quick Settings menu is changing as well. 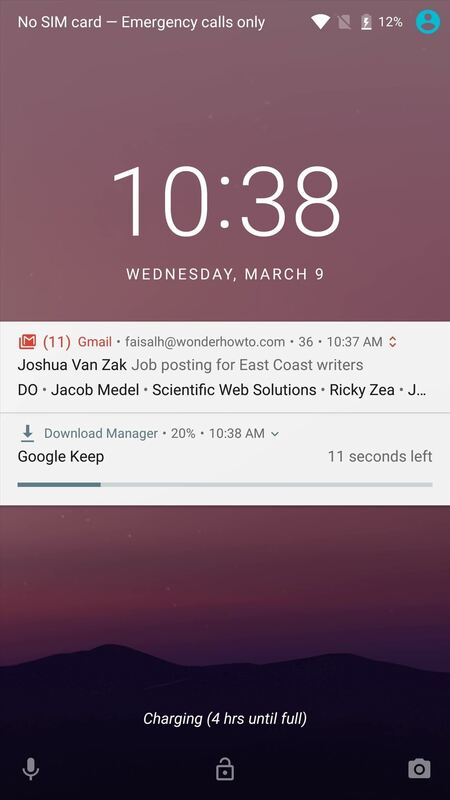 When the notification tray is expanded, you'll get quicker access to a handful of common toggles at the top of the screen—but you can still expand the Quick Settings panel to see more options. On top of that, a new "Edit" button in the expanded Quick Settings panel lets you easily arrange and adjust the toggles. 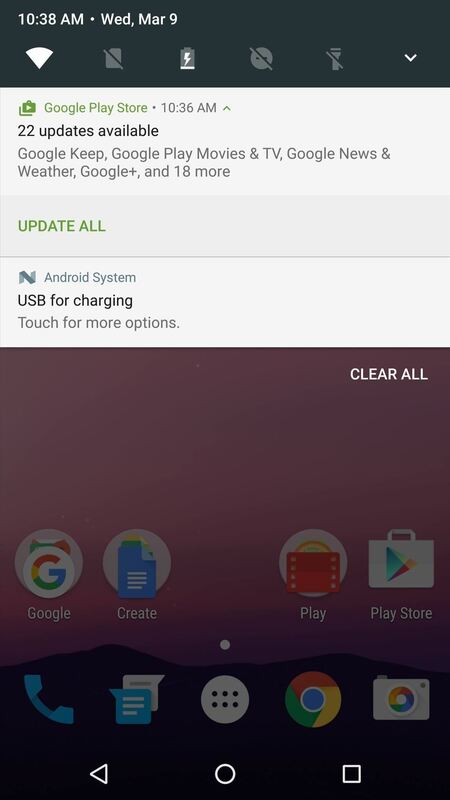 Android's main Settings menu is getting revamped, as well. 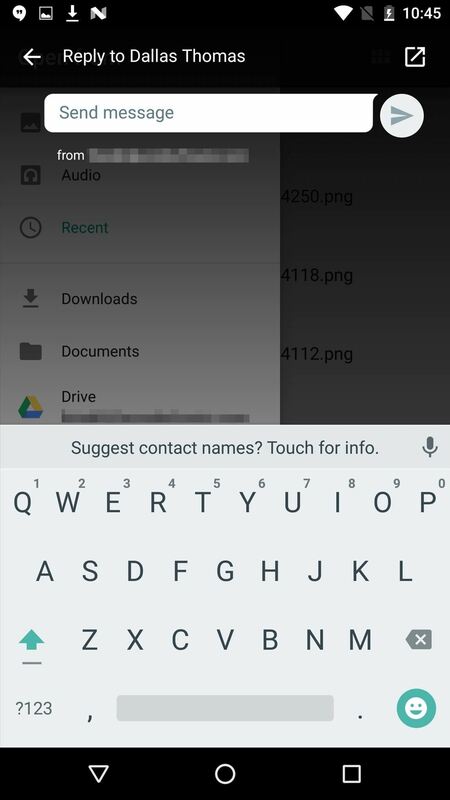 For starters, a new "Suggestions" feature pins any relevant options to the top of the menu—for instance, if you haven't set up a screen lock yet, you'll see this option above all others. Then, perhaps a bigger change is visible when you enter any Settings submenu—a new side navigation menu lets you quickly jump to other submenus for easier navigation. One of the most interesting parts of this preview release is the way it will be delivered to consumers. 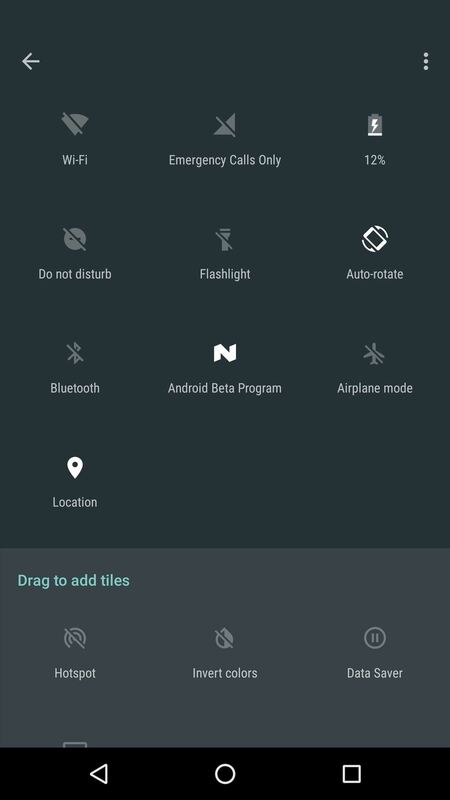 According to the Android N download page, users will be able to sign up for an "Android Beta" program, which will deliver early versions such as this one in the form of an OTA update. So far, the Android Beta website hasn't gone live—but in the near future, it should allow users with eligible devices to sign up for the program and receive early preview builds automatically. 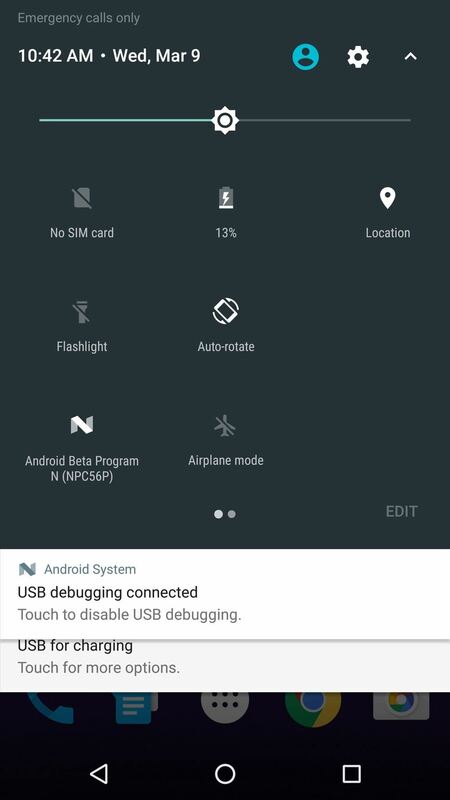 While the new Android Beta program may take a little while to get up and running, that doesn't mean you can't already try out Android N. If you're adventurous enough, Google has already posted the factory images, so just head to this link to grab the package for your Nexus device. On our test device, it's been smooth sailing for far, but of course, your mileage may vary. Once you've got the factory images package saved to your computer, you can simply sideload the update using fastboot. I've covered this process in detail before, so for a full set of instructions, check out this guide for Windows, or this guide for Mac and Linux. Follow Android Hacks on Facebook or Twitter, or Gadget Hacks on Facebook, Google+, or Twitter for more breaking Android news. 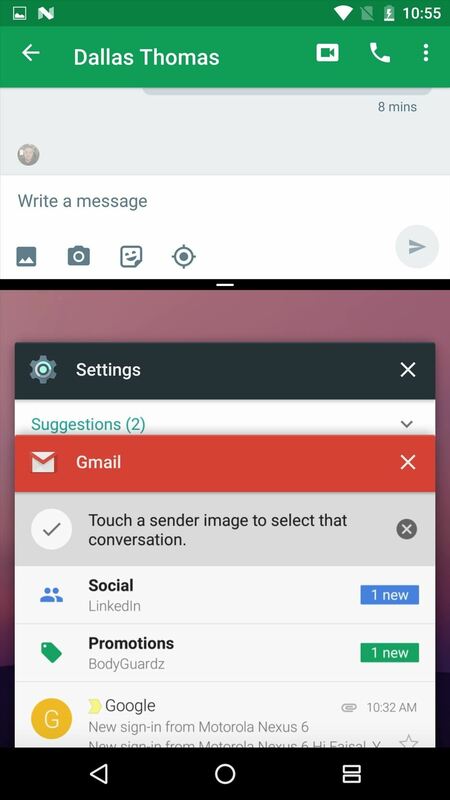 News: Everything Google Didn't Tell Us About Android "L"